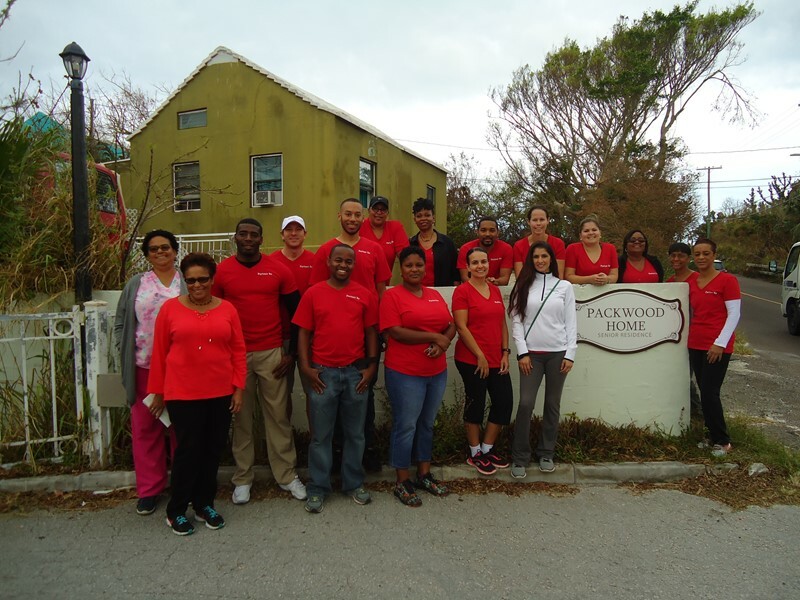 23 employees from Partner Re engaged in a day of community service at Packwood Home, a non-profit organisation dedicated to providing quality care to our island’s seniors. Partner Re employees rolled up their sleeves and pitched in with projects that needed extra pairs of helping hands. The team of volunteers enthusiastically tackled painting projects, gardening and cleaning of the beach area which was in need of much attention from the effects of Hurricane Nicole. Volunteers also spent time reading, visiting and engaging in recreational activities with the senior residents which really lifted their spirits. The Centre on Philanthropy said they are “grateful for the efforts put forth by Packwood Home staff and Partner Re employee volunteers in helping to make this Centre facilitated Community Day a success. Karen Mitchell, Administrator at Packwood Home says, “The staff of Partner Re did an outstanding job in helping to restore the Home to its pristine condition after Hurricane Nicole. If your company or non-profit organisation is interested to learn more about Community Days please email Jenice Germain, Volunteer & Engagement Coordinator jgermain@centreonphilanthropy.org or call 236-7706.